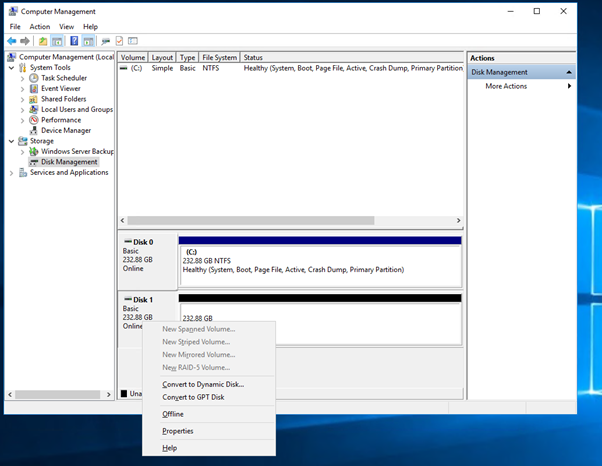 First you will need to go into the Disk Management utility within Windows - you should have 1 allocted disk (containing your OS) and 1 un-allocated disk which will act as our mirror. 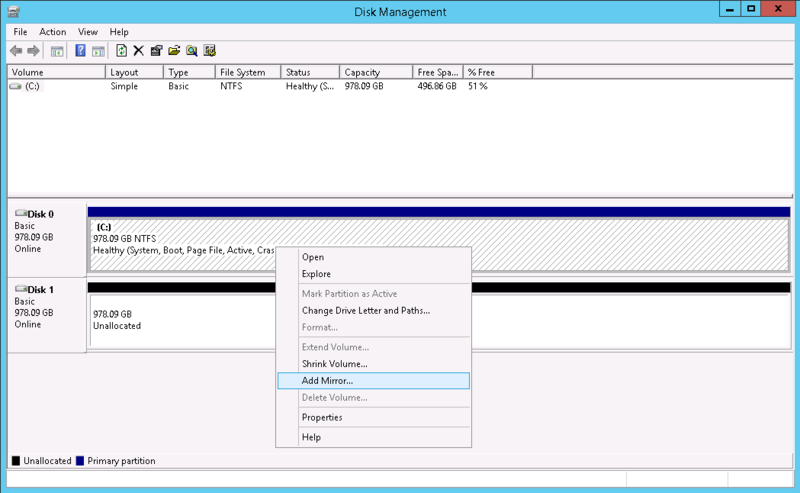 You will first need to right click on the left hand section of your disk and select "Convert to Dynamic Disk"
Next you will need to right click the primary drive (usually at the top) and select "Add Mirror". 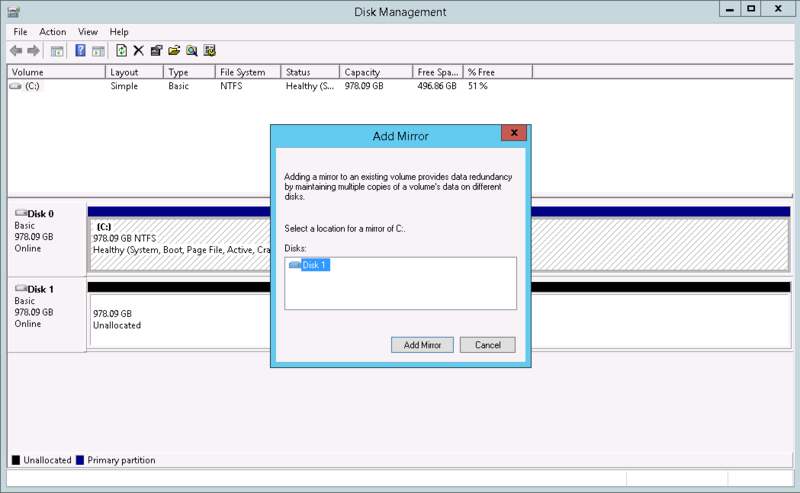 Select the disk that will mirror the primary and click "Add Mirror". 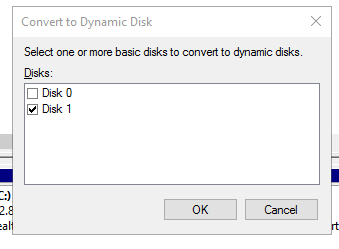 You will get a warning that the disk will be converted into a dynamic one, click "Yes" and the synchronization will start. 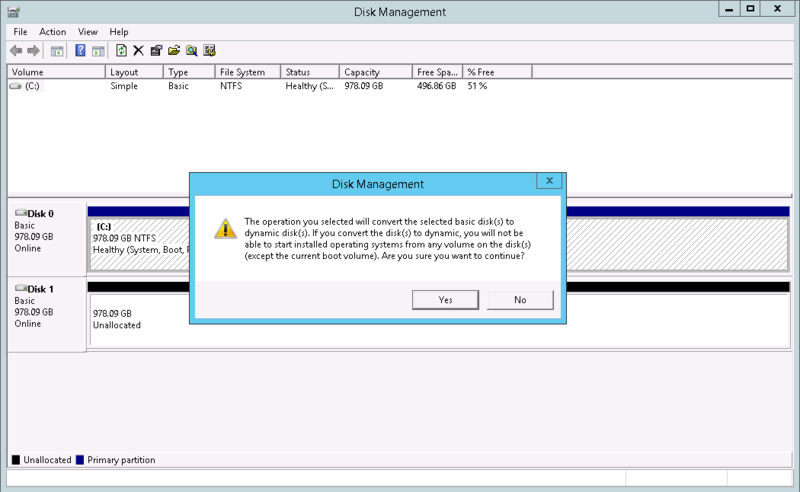 Synchronization will begin - the secondary drive will start copying data from the first and once complete, will continue to mirror.